In need of some woodwork? 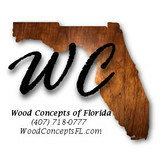 Chances are you’ll want to hire an Ormond Beach, FL carpenter. Carpenters work with all types of wood and can specialize in many different areas, including framing, finishing and custom-made furniture. 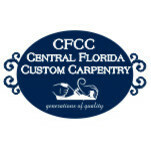 Make sure you choose the right Ormond Beach carpenter for your job by asking plenty of questions, viewing their past work and reading reviews. Miller Design & Construction, Inc.
Small, one man construction-related company. 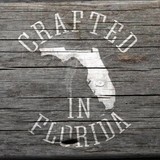 Our goal is to deliver quality craftsmanship at a reasonable price. WELCOME TO WHITE OAK CONSTRUCTION, INC. White Oak has been providing high quality carpentry services to the south eastern United States since 1979. Our first contract in March of 1979 was to frame a custom home for Sutherland Construction. We are proud to say that we are still the preferred carpentry contractor for Sutherland Construction. White Oak also contracts work for Hembree Construction, Aagaard-Juergensen Inc., R.D. Michaels Inc., KNS Construction, Lamm & Company, Hawkins Construction, Albu & Associates, Inc. and many more. While most of our work is commercial construction, it is not uncommon for the builders that we work for to call upon us to build their personal residences as well. Our work can be seen throughout the southeast. We have constructed restaurants, churches, gas stations, office buildings, club houses, condominiums ... from the ground up, new construction, additions, renovations, and sometimes repair work. White Oak accepts contracts for all aspects of framing work, from the most basic framing jobs, to large truss erection jobs. Customer satisfaction is our number one priority. Our continued repeat business can be attributed to the meticulous attention to detail encouraged by White Oak's Vice President, Rick Jahnke. Employees are asked to pay particular attention to every task, ensuring that every job be completed at the highest level of quality.